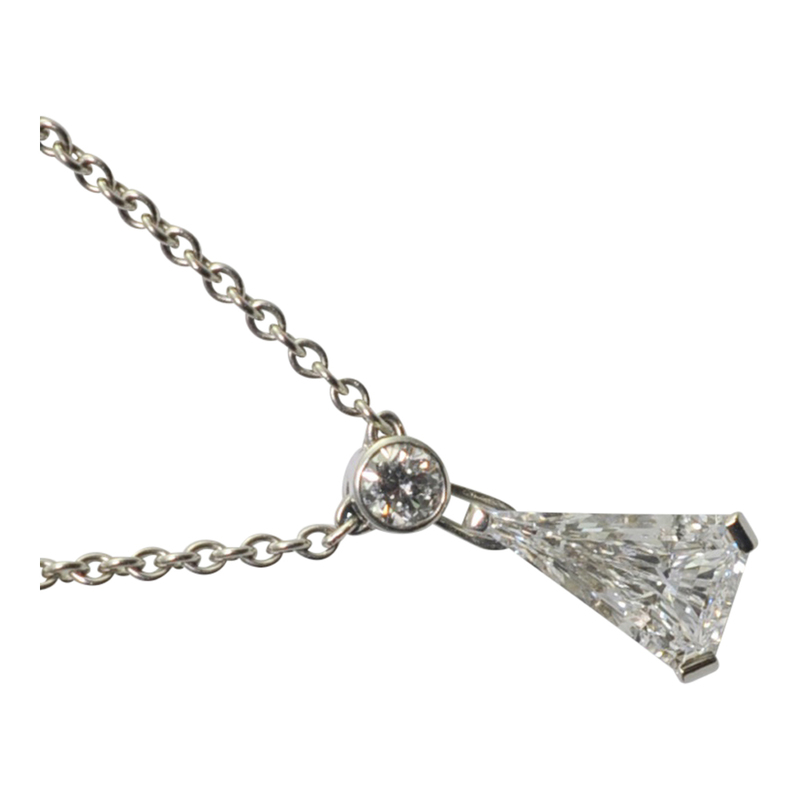 Diamond pendant formed of a Trillion cut diamond weighing 1.05ct suspended below a round brilliant cut diamond fixed to a platinum chain. 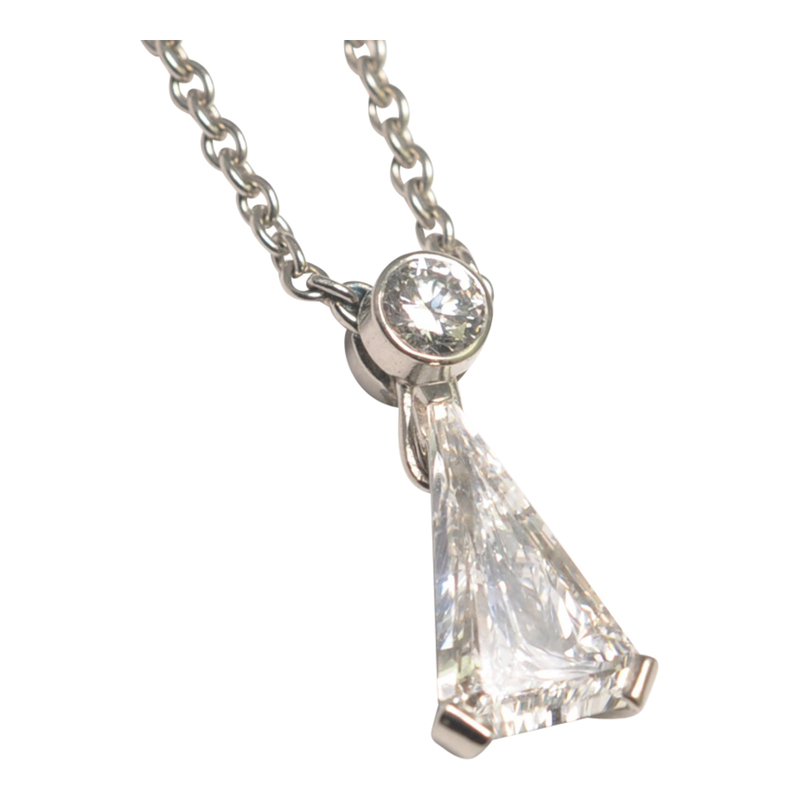 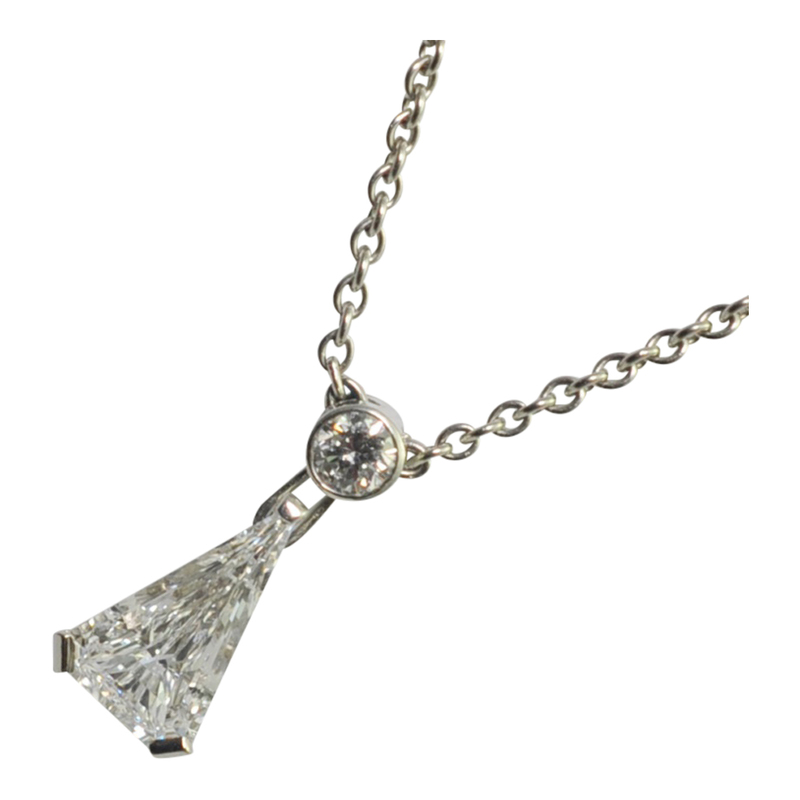 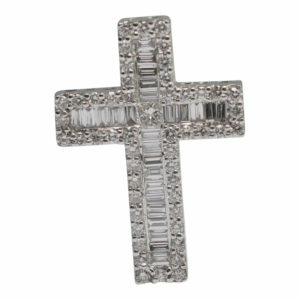 This is a very elegant, chic and finely worked item of jewellery, with the diamond articulated so as to catch the light. 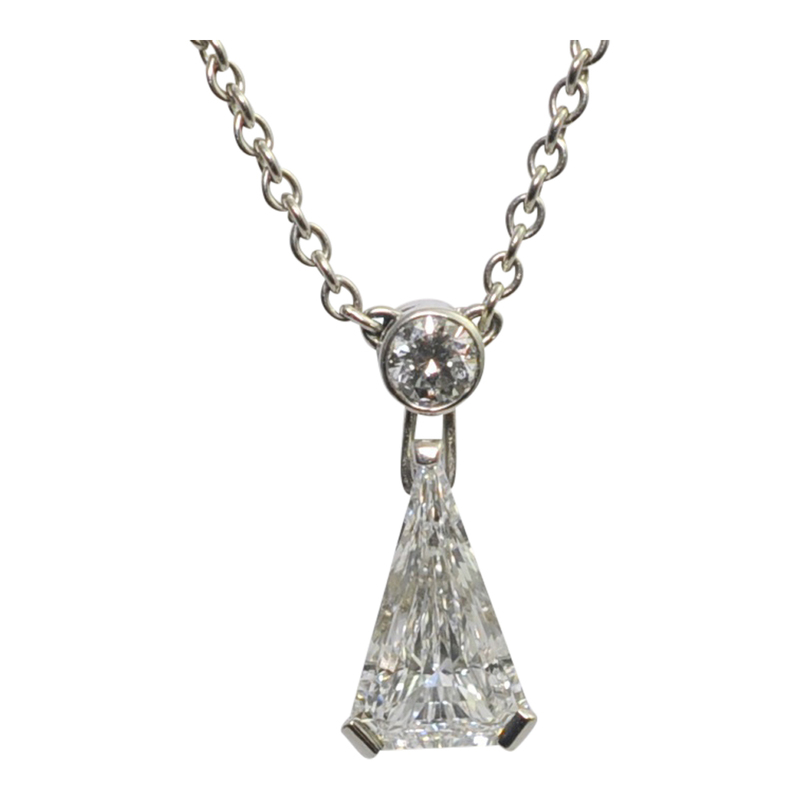 Weight 6.3gms and tested as platinum. 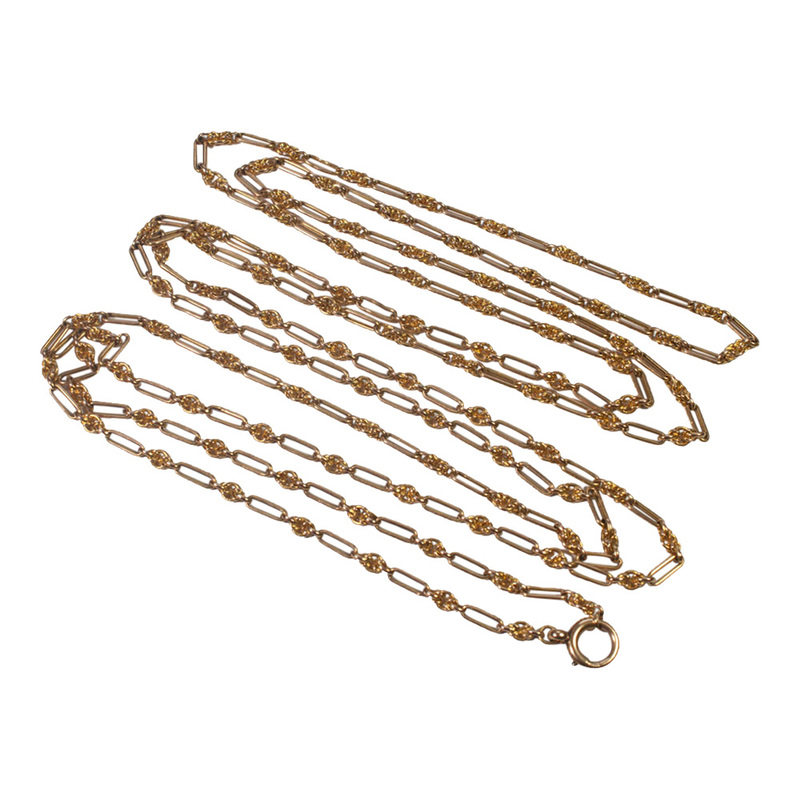 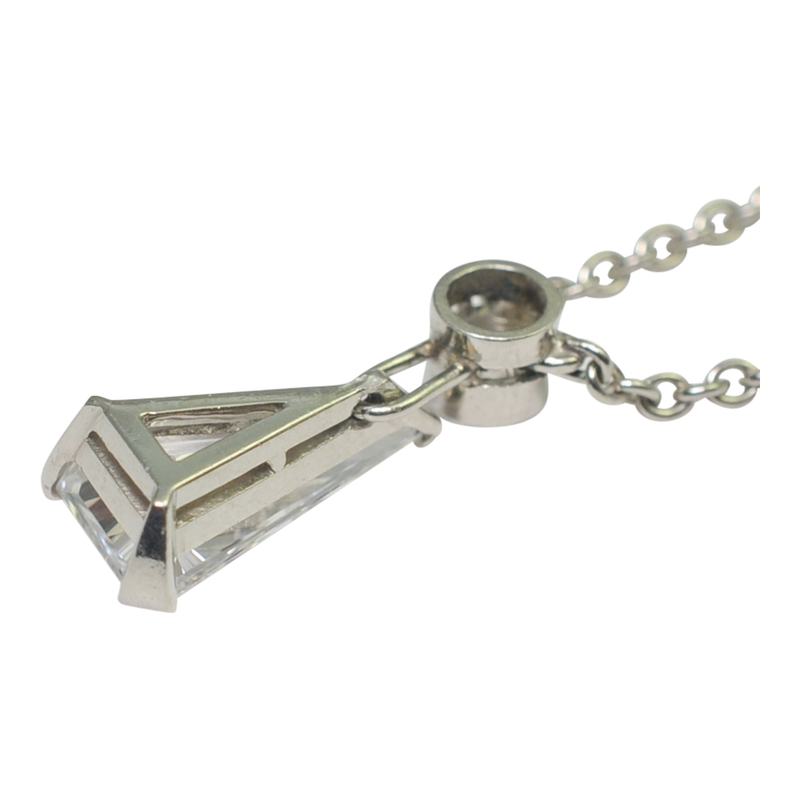 Length of chain 16.5″/ 42cms, length of pendant 1.5cm. 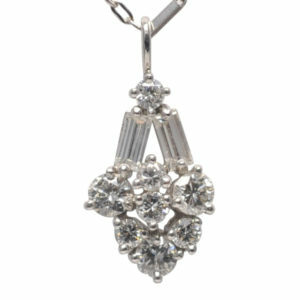 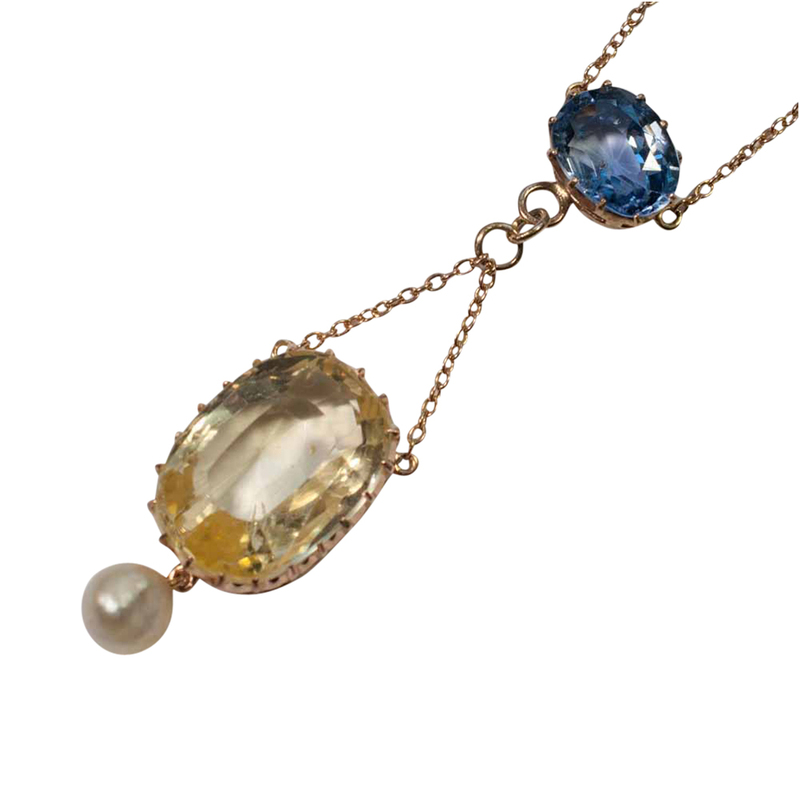 This lovely pendant dates from the 1980s and is in excellent condition.